Air & Water Show this weekend Reviewed by Edgeville Buzz on August 13, 2010 . Just a reminder, if you hear planes, helicopters or fighter jets buzzing by the Lakefront, Chicago is not under attack. 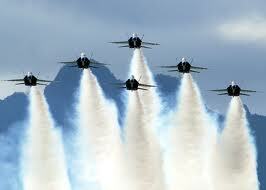 Its the Air & Water show weekend. Check out this ChicagoNow article profiling the best places to view the show.